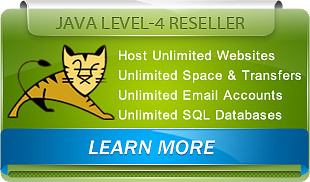 Start your own web site hosting business today with our feature rich Java Reseller Web hosting plans. 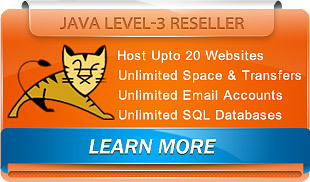 Our reseller hosting plans are affordable, powerful and scalable. 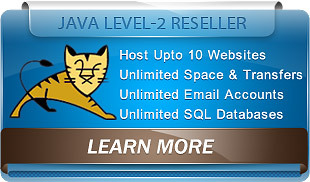 Our Java Reseller Hosting Plans are very simple to use and setup. We can help you setup plus we have a very easy to follow step by step instruction guide that will get your hosted domains up and running in minutes. 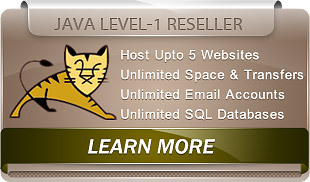 PLEASE CHOOSE A JAVA RESELLER PLAN THAT BEST MEETS YOUR REQUIREMENTS. Your customer service is consistently excellent! Always we speak with someone who is technically knowledgeable. I highly recommend UnlimitedGB to anyone in the business.